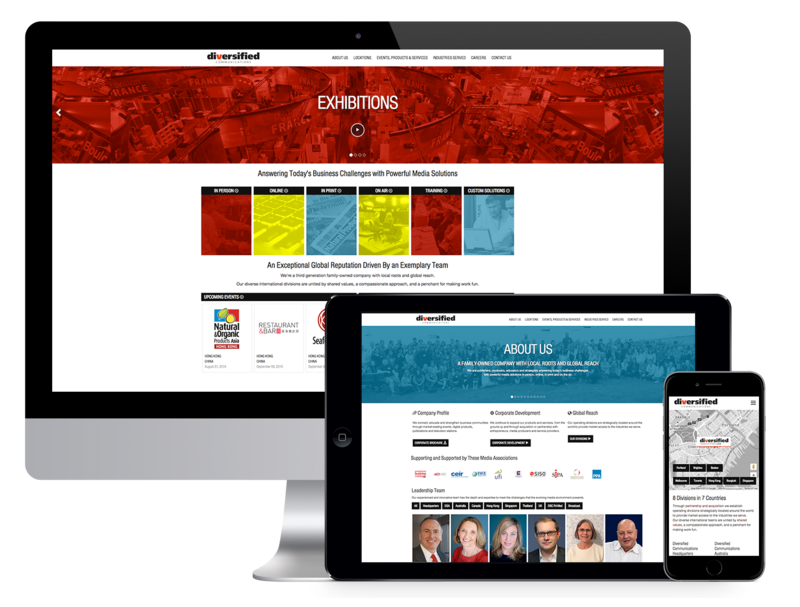 Diversified Communications Australia is one of Australia’s leading exhibition organisers, owning and producing nationally over 30 premium events per year. They are an international media communications company who specialise in exhibitions, conferences, e-media, publications and custom solutions. Our product portfolio serves 16 industries in 14 countries and counting. Our team had provided Diversified Communications a cost-effective and reliable virtual in-house resource service as part of their marketing promotional activities across all their brands and trade shows. We provided online and offline marketing collaterals such as badge stocks, web banners, email signatures, advertising banners, flysheets, admin forms, magazine adverts, brochures, vouchers, social media ads, event videos, among others. We created the best collateral that build and maintained their brands. It forged a connection between the organizers, traders and the visitors. It communicated superiority and competitive differentiation that enabled the DivComm events to stand out among all the others. These collaterals had effectively and powerfully demonstrated DivComms story than their sales representatives can.